How to get to the Arena and what activities you can do in it in Assassin's Creed: Odyssey. In Assassin’s Creed: Odyssey, there are a variety of interesting locations that are worth visiting, and this has left some players wondering where the Arena is. Because of the game’s basis in Greek history, it’s unsurprising that there’s a functional Arena where you’re able to fight and unlock quest objectives. Of course, to do these things, you’ll first need to know where the Arena is located and how to get there. To help, we’ve put together a quick guide on where to find the Arena in Assassin’s Creed: Odyssey. 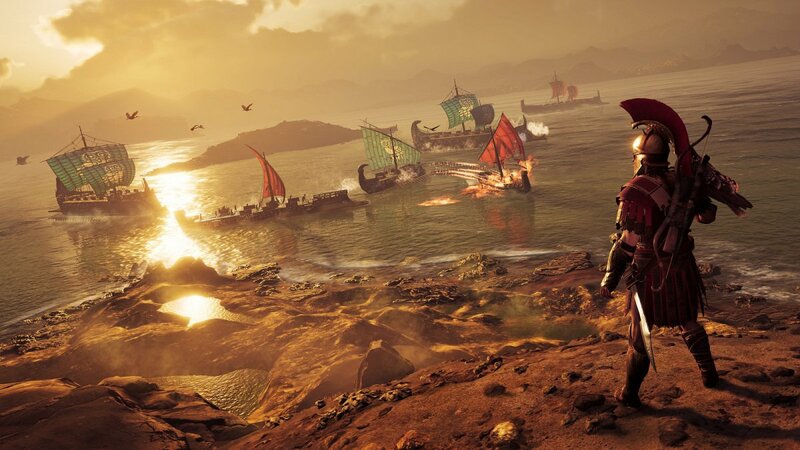 To get to the Arena in Assassin's Creed: Odyssey, you'll need to sail out to Pirate Point on Pephka. To find the Arena in Assassin’s Creed: Odyssey, you’ll need to head to Pirate Point, Pephka. On your map, this area can be spotted to the southeast, with the Arena marked by a red Colosseum icon. There are a few different ways to get to the Arena in Pirate Point, Pephka. For example, you can unlock a clue for a mission titled “They Just Want Cruelty” that’ll eventually lead you to the Arena. Meanwhile, you’re can also freely sail to the Arena once you reach Sequence 2 in the game. Once you physically discover the Arena, you should be able to fast travel to it at any point in the game in order to complete quests and objectives. In addition, there are plenty of activities to complete in the Arena if you’re looking for something to do. Not only can you fight and test weapons in the Arena, you can also pursue members of the Eyes of Kosmos, complete missions, and unlock Legendary gear. Enemies in the Arena start at Level 22 and increase in level by 7 before capping at Level 50 (22, 29, 36, 43, 50). Defeat the first five enemies and an additional part of the Arena will unlock with five new Level 50 fighters. There are plenty of enemies to fight with in the Arena in Assassin's Creed: Odyssey. Note that enemy encounters typically include five waves with the final wave focusing around a boss. Looking for members of the Eyes of Kosmos in order to get enough Artifact Fragments to level up your Spear of Leonidas? Well, you’re in luck, as Belos the Beast of Sparta can be found in the Arena. Belos is a Level 29 member of the Eyes of Kosmos, and fighting him further unravels the Heroes of the Cult, thereby giving you insight on where additional Eyes of Kosmos members can be found in Assassin’s Creed: Odyssey. With the above information in mind, we recommend waiting until you’re at least Level 22 before heading out in search of the Arena. That way, when you get there, you can take on the first Arena enemy. Plus, it’ll help you travel all the way to the southeast without running into too much trouble. What are some of your favorite activities to do in the Arena? Let us know down in the comments below! 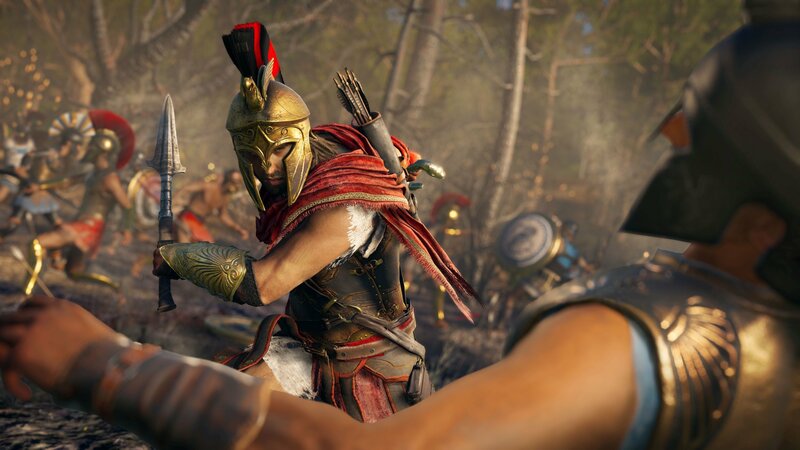 For more on Assassin’s Creed: Odyssey, be sure to check out some of our previous guides including how to tame animals in Assassin’s Creed: Odyssey, how to recruit ship lieutenants in Assassin’s Creed: Odyssey, and where to find the Backstage Pass Ainigmata Ostraka treasure location in Assassin’s Creed: Odyssey. By reading through this guide, you should now know where to find the Arena in Assassin’s Creed: Odyssey.